Isn’t this what all Ed Sheeran fangirls, like us, are chanting since 2014? It's when the most romantic song of the millennium came out. Well, you can say all this (and more) out loud to your fave boy REAL SOON! The tickets go live 12pm, 12th July. 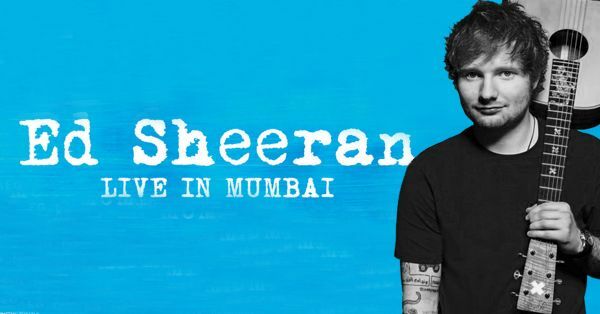 If you want to get your hands on the ‘Ed Sheeran Live in Mumbai’ concert tickets, you need to rush! If you haven’t registered yet, you can do it here. PS: The concert tickets will only be available to registered customers via the unique link on a first come, first serve basis. Limited tickets, most anticipated event of 2017 - take the call and take it quick. Wouldn’t you hate to see your friends Snapchat Ed Sheeran performing live on Shape Of You?